Canon Vs HP Vs Brother: Which Printer Is Right For Your Small Business? The humble printer can often be forgotten as an important component of any office, but without it, your business can halt to a stop. Sure, electronic communications are increasingly used instead of paper, but being able to print documents can still be a very important part of any small business. But what printer is best for your small business? There are quite a few options out there — and they’re not all worth considering. That’s why we’ve done the research for you — to ensure that you can find the best printer for your small business without having to do too much work. There are a few things to consider before buying a new printer for your small business. For starters, you’ll want to think about whether or not you want a simple printer, or if you want a printer that can also scan and fax documents. You’ll also want to think about whether you want an inkjet or laser printer. Inkjet printers are more common, cheaper, and can print color documents. Laser printers, on the other hand, are a little pricier, and many of them are stuck printing only black and white documents. The trade-off, however, is that you don’t have to buy ink for them — only toner, which you can to buy a lot less often. 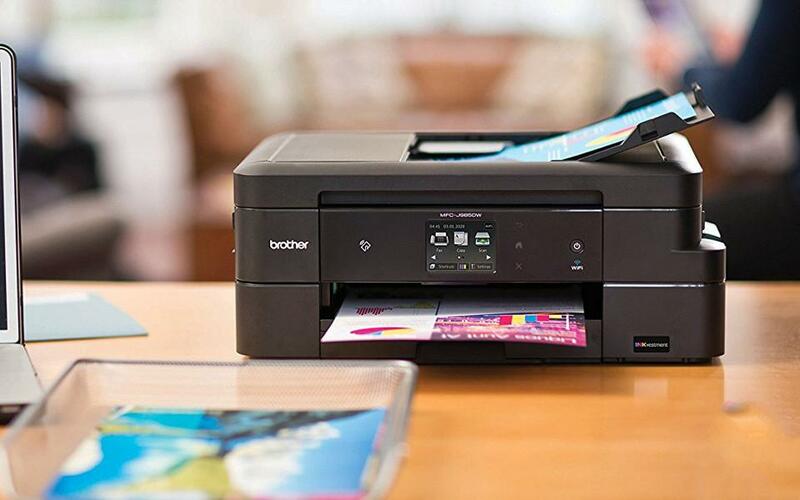 Whatever your situation, here are some of the best printers for your small business. 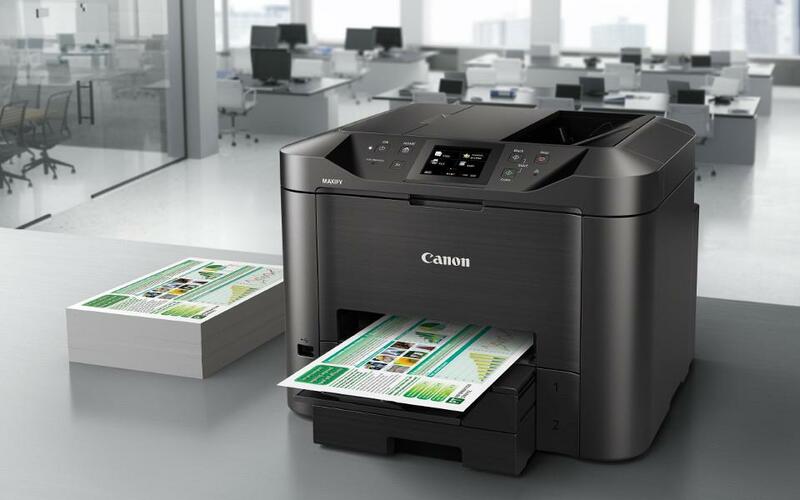 Why it’s great: Now only does the Canon Maxify 5420 offer high-quality printing, scanning, and faxing, but it does so quickly and efficiently. In fact, this device is capable of printing up around 15-24 pages per minute, which is far more than what most home printers have to offer. On top of that, the printer can print at a resolution of up to 600 x 1,200, which should be fine for most small businesses apart from photo-based businesses, and it can scan and fax documents too. The Canon Maxify 5420 is relatively easy to use too thanks to its 3.5-inch display. Why it’s great: The Brother MFC-J985DW XL may not be as high-capacity as some others on this list, but for the small business that doesn’t plan on printing a ton but still wants a printer just in case the need arises, it’s a great option. The printer boasts a print speed of up to 12 pages per minute, which isn’t bad, plus it offers a 2.7-inch touch-screen for easy control. Perhaps even better is the fact that you’ll get a massive 12 high-yield cartridges with the printer. That’s enough in to print up to 7,200 black and white pages. Why it’s great: If you’re looking for a solid laser printer that can print in high volumes and you don’t really need a built-in scanner, then this is the one for you. 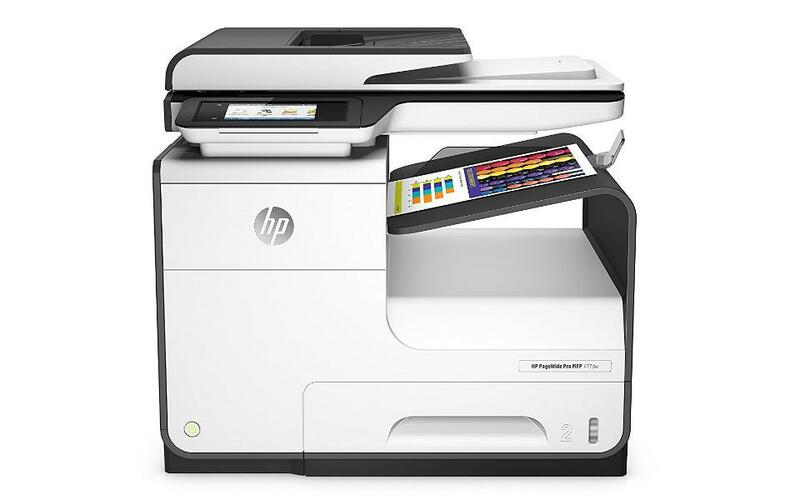 Not only can the printer print up to a whopping 40 pages per minute, but it also connects to the HP Smart app, meaning you can quickly and easily print documents straight from your phone. Keep in mind that this device doesn’t offer a scanner, and it only prints in black and white — so if color printing or scanning are important to you, you may want to look elsewhere. Why it’s great: Perhaps your small business is visual-based, and you might need to regularly print photos. 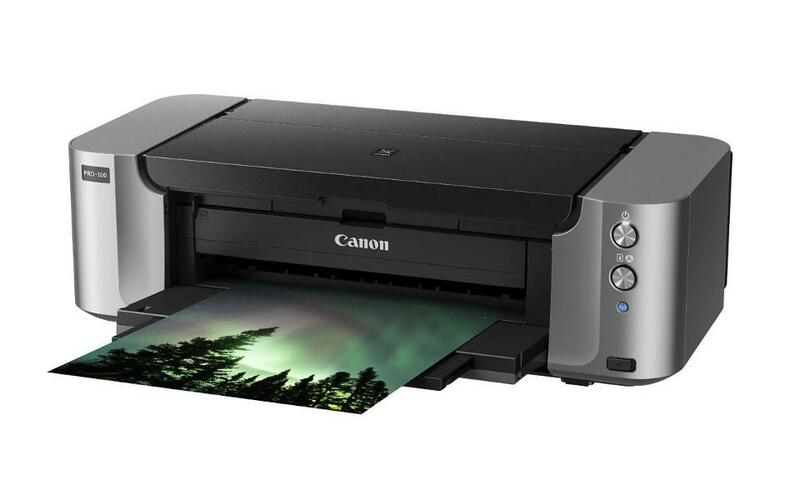 If that’s you, then the Canon Pixma Pro-100 is a great printer option for you. The printer isn’t aimed at printing at ultra-high speeds, but it can print at pretty high resolutions — the maximum resolution sits in at 4,800 x 2,400, which is great for photo-printing. Once again, this is more of a specialty printer — so you won’t get a scanner or double-sided printing. Still, if you don’t need those features and just want excellent photos, then the Canon Pixma Pro-100 may be the printer for you. Why it’s great: Looking for a super high-capacity printer with a good scanner and double-sided printing, and don’t mind shelling out the cash for it? This is the printer for you. The HP PageWide Pro 477dw is well-designed, easy to use, and prints at up to 40 pages per minute — which is super fast, and perfect for even the fast-paced small business. On top of that, the printer offers a massive 500-page paper tray, so you won’t have to replace the paper nearly as much as other printers. 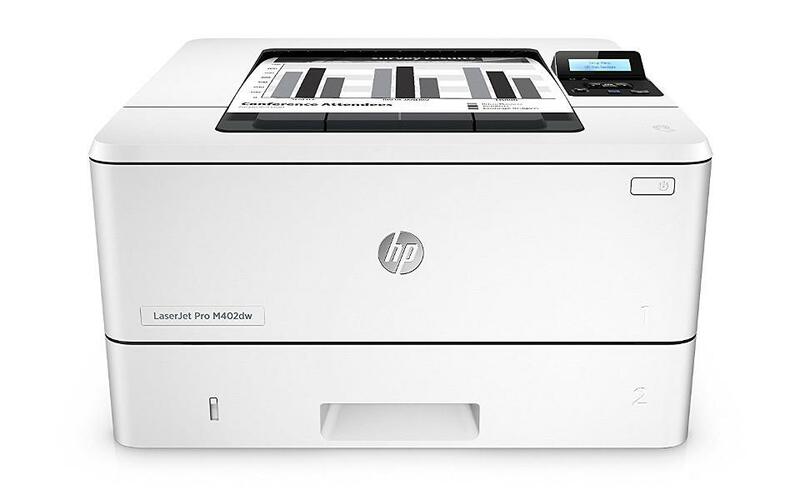 Next article Can inkjet printers compete with laser printers in the office market? Epson inkjet technology says it can.